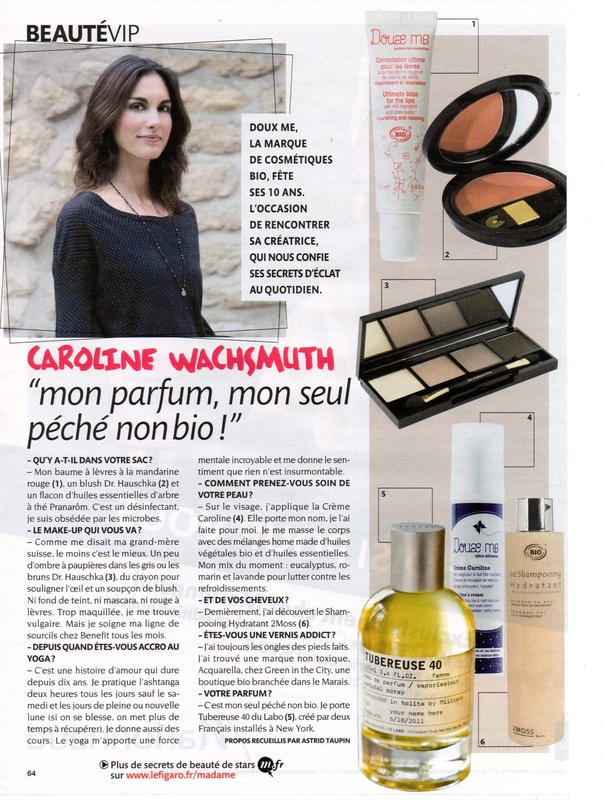 Interview in French Madame Figaro. October 2011. This interview came to celebrate the 10 years anniversary of Doux Me. It features the products that I love the most: Caroline’s cream (design by Amélie Hazard), the new formula of my lip balm, Tubéreuse 40 perfume from Le Labo which is one of my only non-organic beauty sins, Dr Hauschka make-up and the hydrating shampoo from 2Moss.